The little bundles of thread created by the Sheaf Stitch remind me of a cinched waistline or hour glass. They also look like sheaves of wheat gathered in the fields ready for harvest or tiny flower tops. 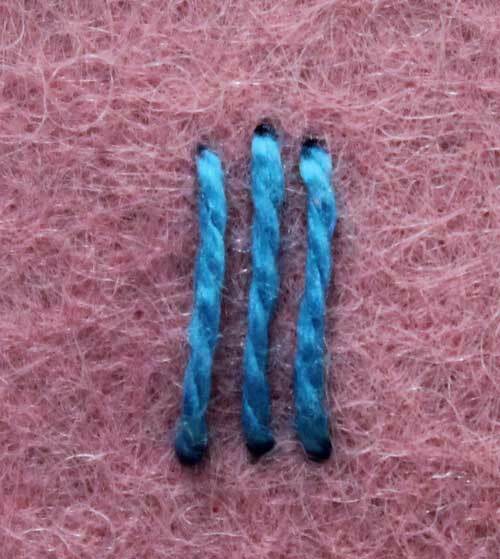 Here’s how to make Sheaf Stitches: Make 3 or 4 vertical or horizontal stitches measuring about 1/4″ long. Place them about 1/16″ apart. Bring the needle tip up to the surface of the fabric at Point A. 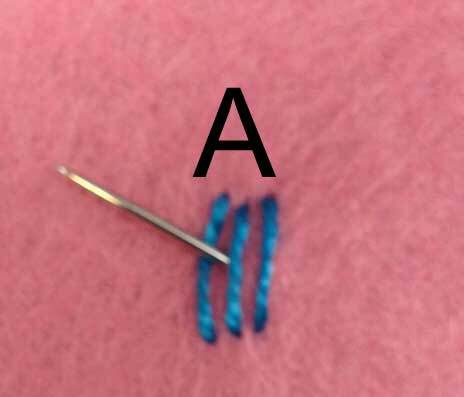 Point A is at the center of the stitches. Slip the needle and thread under the left vertical stitches. Use the blunt end or eye end of the needle. 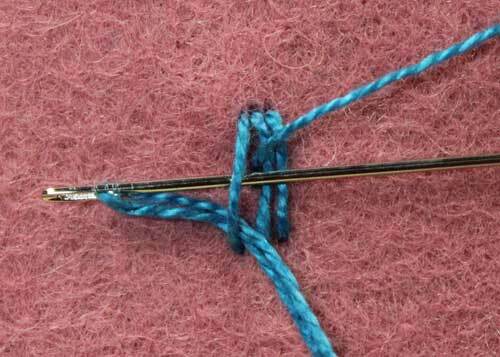 Insert the needle tip under the right vertical stitches and insert it back down at Point A. Pull the needle and thread through the fabric to form a cinched group of threads. Tie the thread off at the back to secure the bundle. 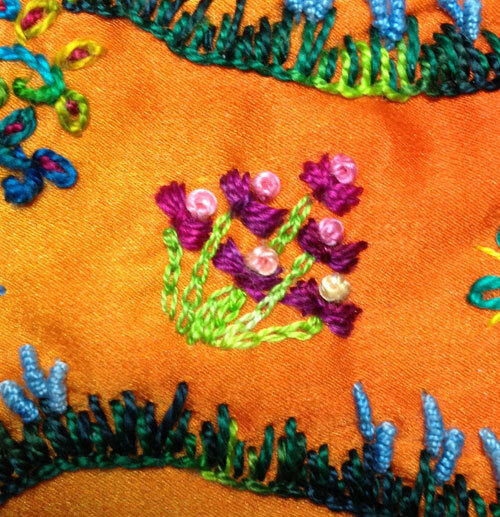 Add a French Knot or a Bullion Knot to the stitch to make a flower. 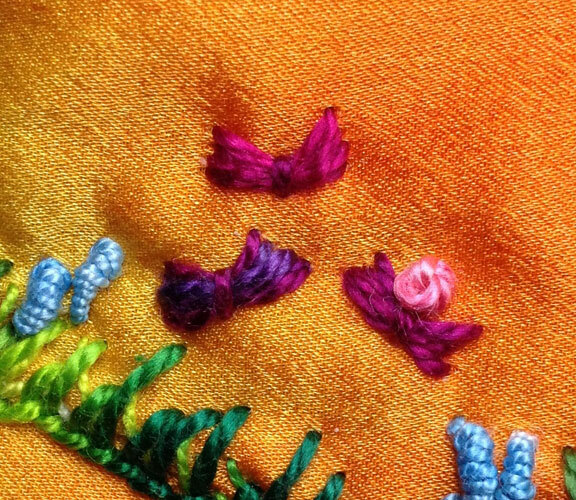 Or line them up and Sheaf Stitches act as an orderly band of decorative motifs racing across the fabric surface. These concentrated deposits of thread are bundles of joy!